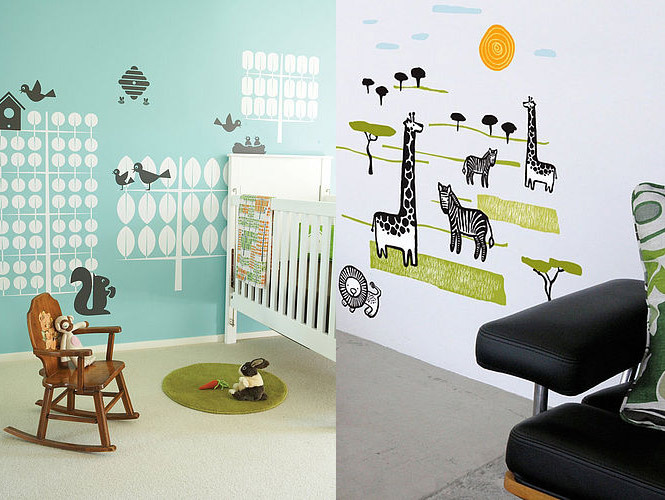 These fun wall stickers from Not On The Highstreet have brightened up our day, and we think they might do the same for your kids room too! 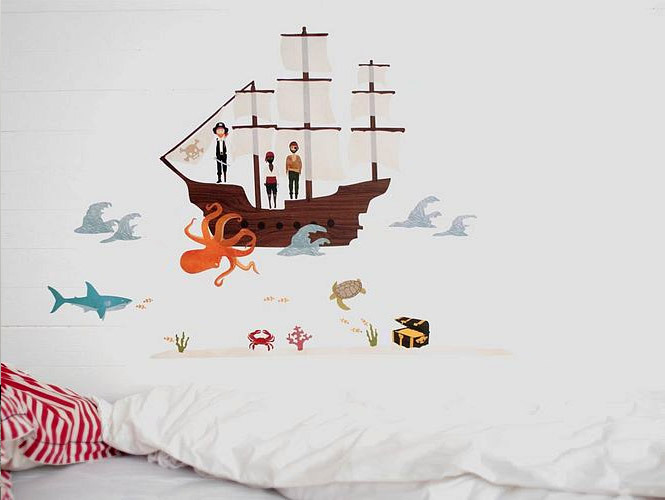 Personalize your little ones play and sleeping areas with their favorite theme, without the need for time consuming painting or costly wallpaper. 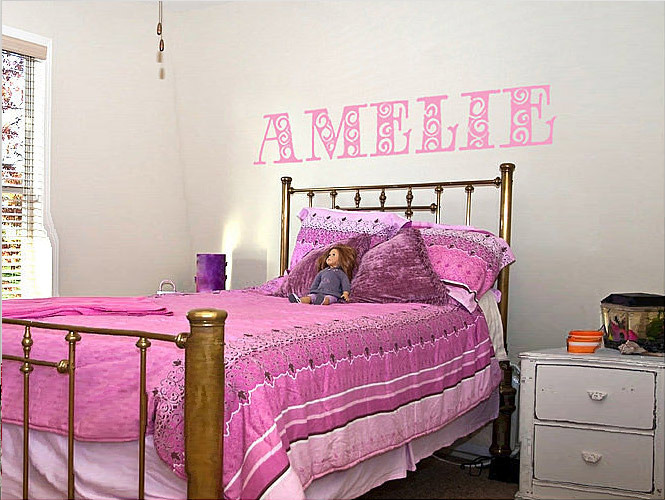 In a shared room situation, emblazoning your children's names above, or on, toy chests and beds provides individuality, and establishing clear zones may help to avoid sibling squabbles. 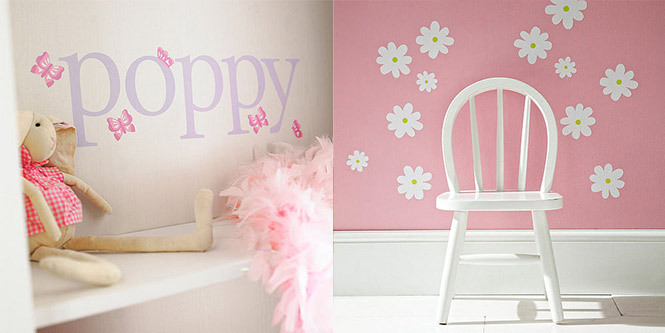 Using stickers to add color and fun to key pieces of furniture could even make an old wardrobe, or plain crafting table, into a child friendly piece. 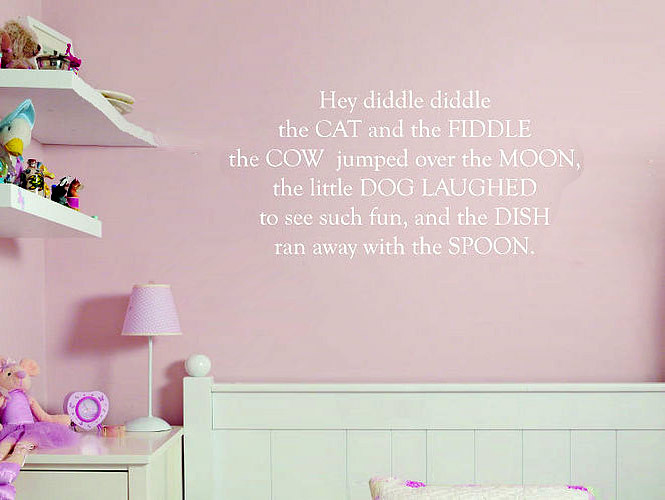 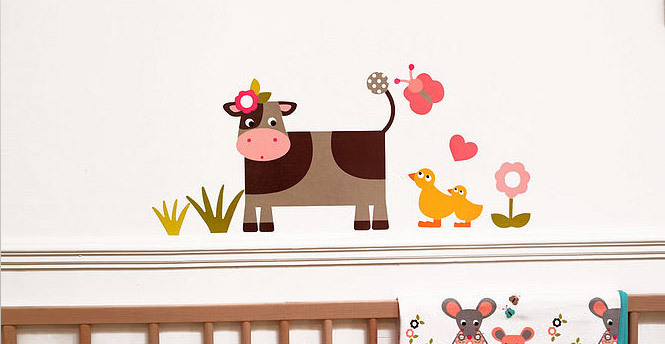 Fill a plain wall with a special nursery rhyme, or highlight a cherished item with a sweet spray of flowers. 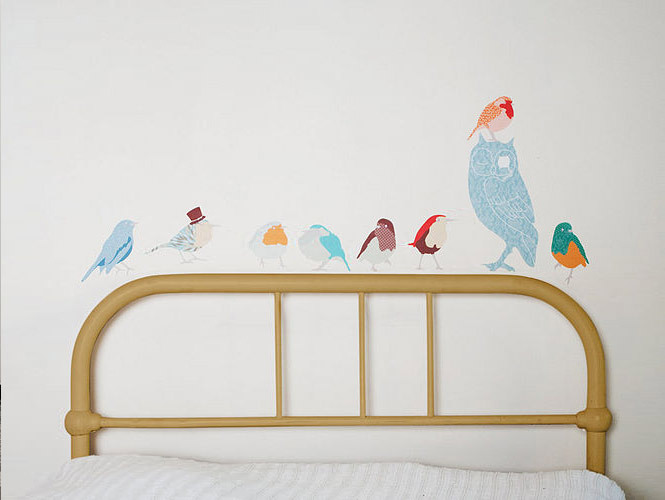 Get creative by allowing sticky characters to interact with elements of the room, make a headboard into a perch under a line of cute birds, or balance creatures above door fames, skirting boards and light switches. 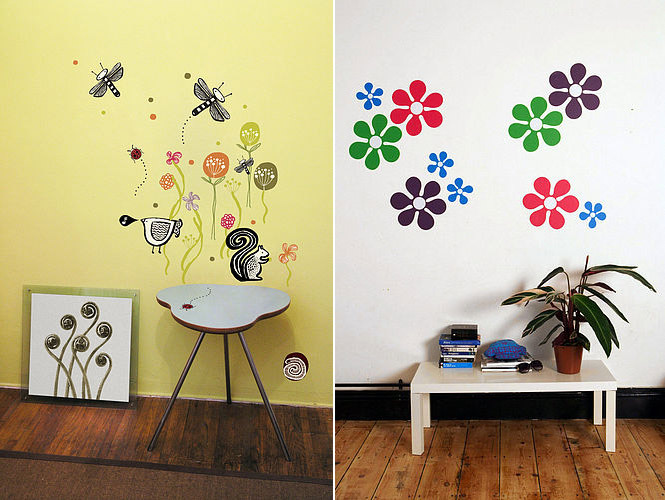 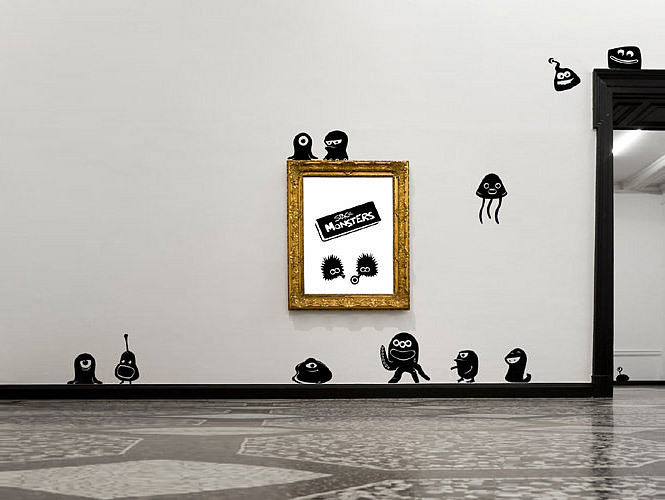 Try making your own artwork by applying them to card stock and framing, and let matching elements loose on the surrounding wall for a 'picture come to life' effect. 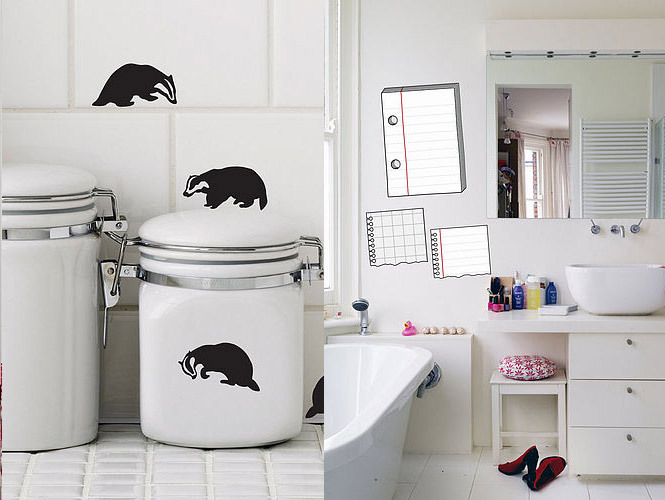 Wipe clean stickers that emulate note pads are perfect for a teen's room, they can jot down homework notes, or doodle love notes, and simply wipe clean for next week!